Massachusetts State Route 4 is a north-south highway in Northern Middlesex County. It runs from Massacusetts State Route 3A, near North Chelmsford to Massachusetts State Route 2/225, near East Lexington. MA St Rt 4 passes through the following towns in Middlesex County. MA St Rt 4 is multi-plexed in Middlesex County. 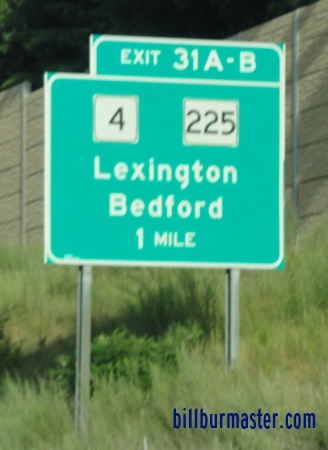 Massachusetts State Route 225, from Bedford to East Lexington. Massachusetts State Route 62, at Bedford. Massachusetts State Route 2A, at Lexington. 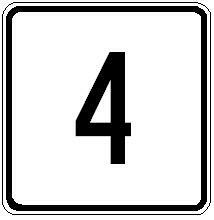 MA St Rt 4 intersects the following highways in Middlesex County. Massachusetts State Route 3A, at North Chelmsford. U.S. Rt. 3, near Lowell. Massachusetts State Route 110, at Chelmsford. 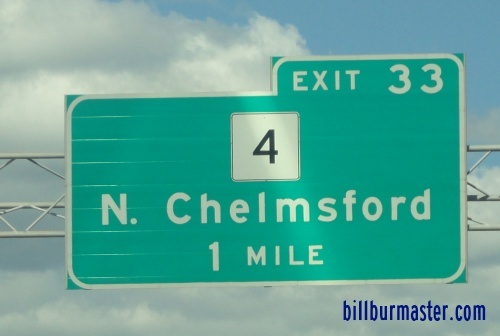 Massachusetts State Route 27, at Chelmsford. Massachusetts State Route 225, at Bedford. Interstate 95, near North Lexington. Massachusetts State Route 128, near North Lexington. Massachusetts State Route 2, near East Lexington. Massachusetts State Route 225, near East Lexington.